Inspire someone you care about today with this pretty arrangement of white, and red flowers. 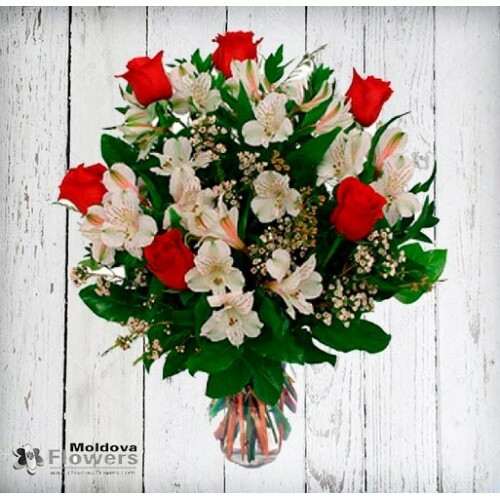 Featuring white alstromerias, red roses. This design is completed with some delicate greenery and added flowering baby's breath.